. . . And for the support of this Declaration, with a firm reliance on the protection of divine Providence, we mutually pledge to each other our Lives, our Fortunes and our sacred Honor. and then signed their names. Those that built America considered their reputation and honor so important that they called it “sacred.” Regarding it with reverence, high respect and as equally if not more important than their own life and wealth. 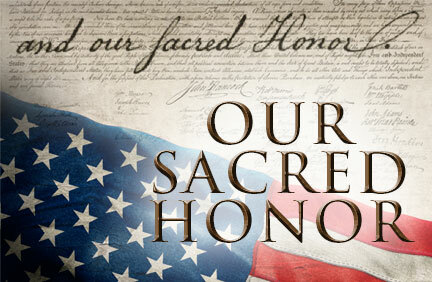 America today has gotten away from considering one’s own reputation, honor and integrity to be sacred. We read story after story of professional business and government people committing waste, fraud and abuse and sacrificing their honor for greed. Our country is rapidly declining because people don’t consider their own honor to be sacred or to act in an honorable way. Trust and confidence in professions, companies and government agencies is lost. We need to realize how big a problem waste, fraud and abuse is and tell people their lives and possessions have NO value if they steal or cheat. We need to remind people their honor and good reputation is sacred and to never lose it. 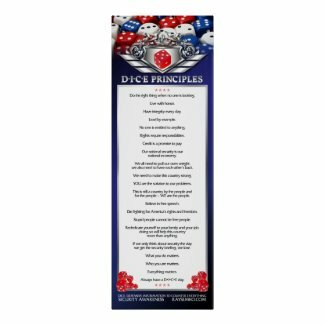 The DICE blog will begin monitoring and reporting on cases of people who did not act honorably and thus lost their sacred honor so you can use this as an awareness tool in your organization. You also need to report Waste, Fraud and Abuse (WFA) to your security, legal, HR or IG’s office. Every federal and state government agency also has a webpage on reporting WFA internally and relevant externally. 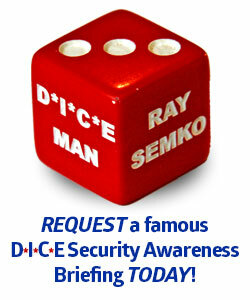 Consider also having Ray Semko speak at your organization about our Sacred Honor and the need to stop and report waste, fraud and abuse.